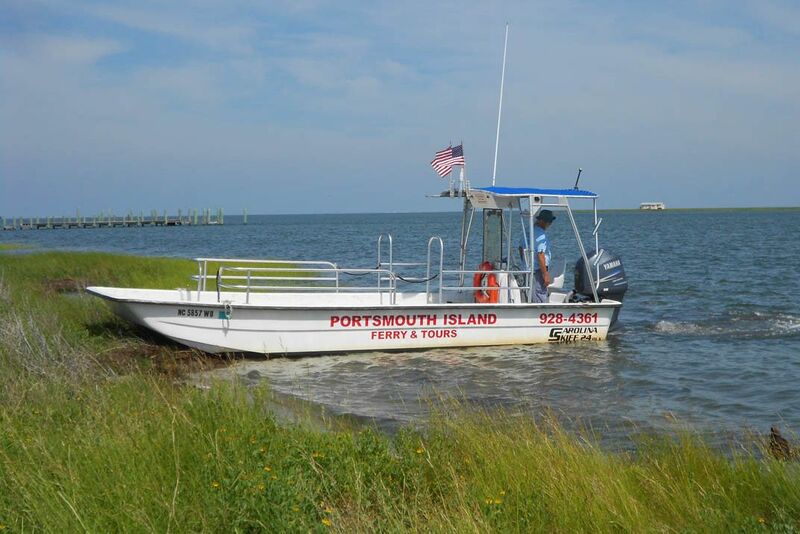 There is no better bargain on the island of Ocracoke than Captain Rudy Austin and his twenty dollar tours to Portsmouth Island. 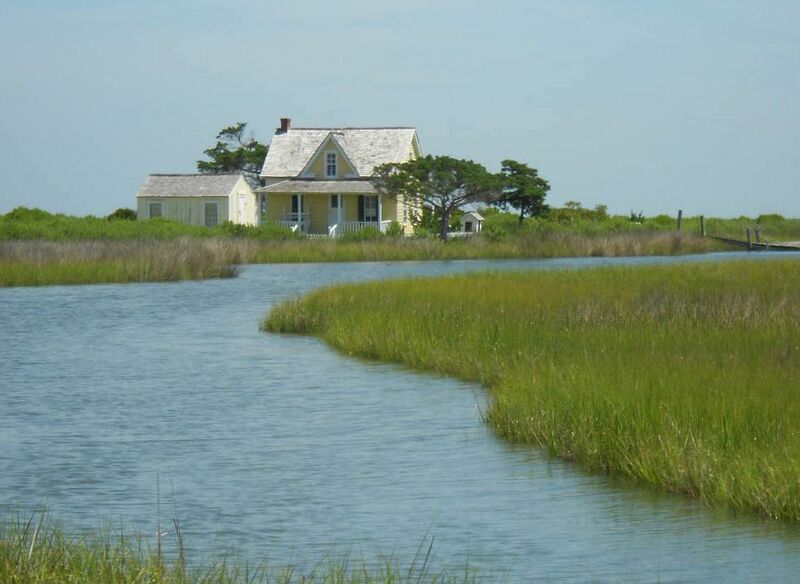 Twenty bucks will get out a nice ride across the Pamlico sound, some Blackbeard and Seaman’s tales, a visit to a “ghost town,” beachcombing and wildlife viewing, all rolled into one tour! Besides, I am a sucker for getting out on the water, regardless of the reason! 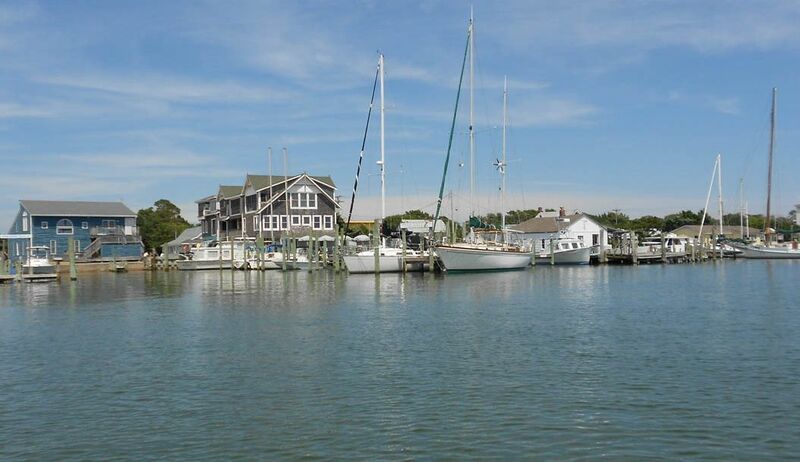 But the main attraction is a visit to Portsmouth Village, a small fishing village established in the 1700’s. After a 20 minute ride across the Pamlico Sound, the hand-off takes place between Captain Rudy and the National Park Service. 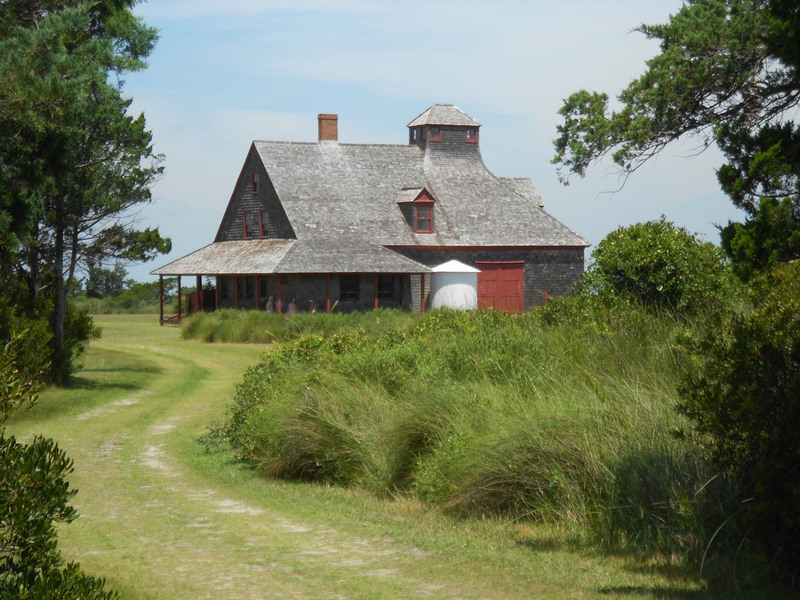 We were met by a couple of volunteers who somehow drew the lucky straw to be the only human inhabitants in the “ghost town.” It must be a good gig, as this volunteer couple turned down an offer for the Cape Lookout Lighthouse in order to co-host the ghosts. 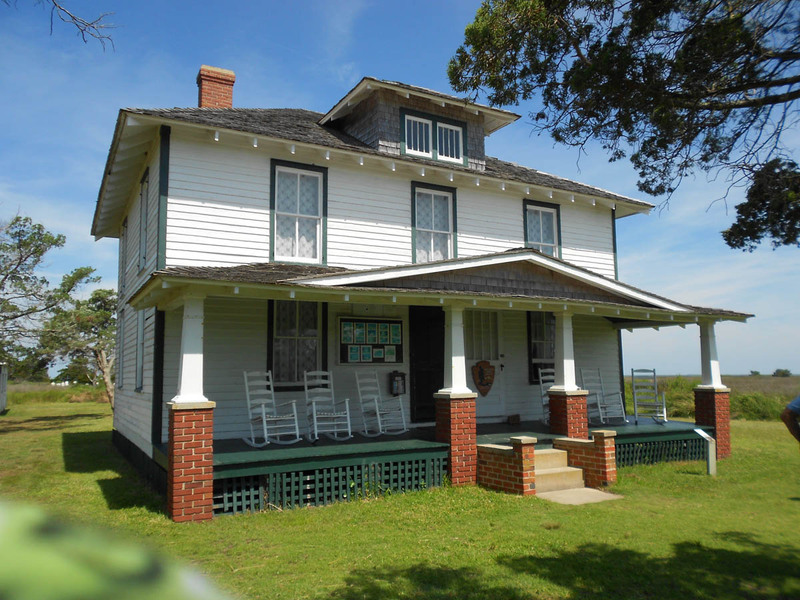 Most of the houses date back to the early turn of the century, with the oldest remaining house built around 1840. 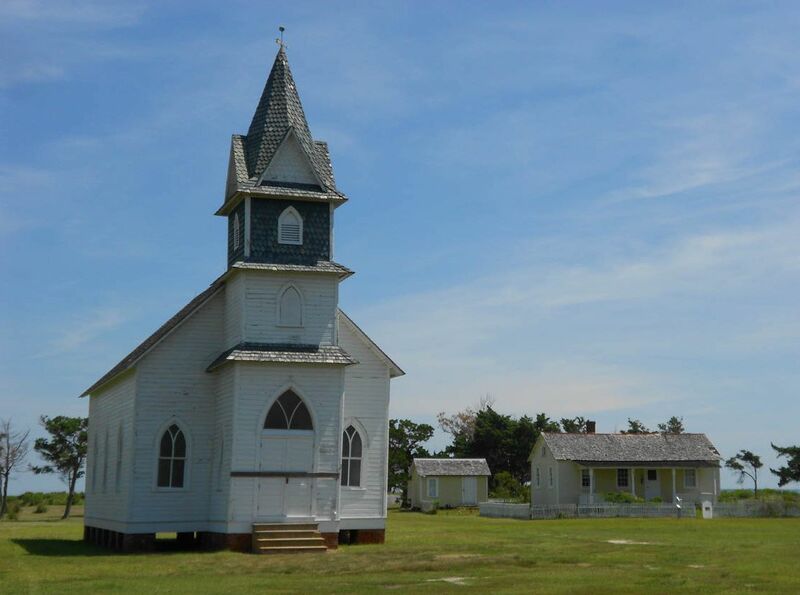 There are around 50 structures including a segregated schoolhouse which was also the only schoolhouse (Read between the lines because you can,) a combination Post Office and General Store, the Methodist Church (1914), and about 40+ vacant houses. And the vital Life Saving Station, one of a chain of stations positioned every 5 to 6 miles along the coast that aided in the rescue of shipwreck victims. 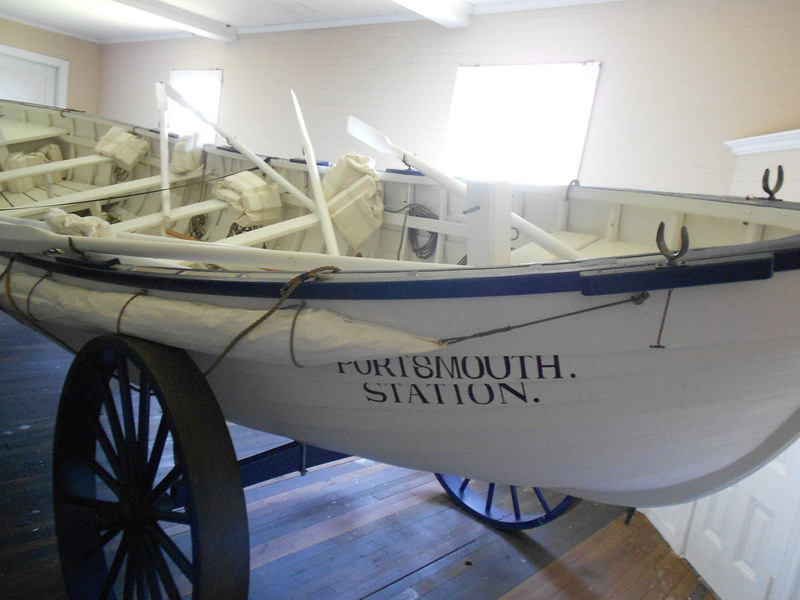 In 1915, these Life Saving Stations were incorporated into the US Coast Guard. The village served as a “lightering port” where slaves were used to “lighten” the load from heavy ocean liners so the freight could be transported through the shallow shoals of the Sound. Due to the ravages of war and hurricanes, the village lost significance as a port and began to decline in population after the Civil War, until 1971, when it was down to three remaining inhabitants, the original “mail man” and slave descendant, Henry Piggot, who ferried supplies back and forth to Ocracoke to support his two elderly lady friends. When Henry died in 1971, the two women reluctantly left the island, and the National Park Service took over shortly thereafter. Following the volunteer-led tour, we were given the option of a boat pick-up at the village, or three mile walk down an isolated beach known to be excellent for its sea shell collecting. No question in my mind, though I was definitely in the minority. On the ride back, Captain Rudy drove us by a Brown Pelican nesting habitat, where over 200 nesting pairs of pelicans are concentrated on a small, eroding island. Captain Rudy explained efforts by the Audubon Society to stop erosion of the tiny island through the introduction of “recycled” oyster shell barriers and native marsh grasses. 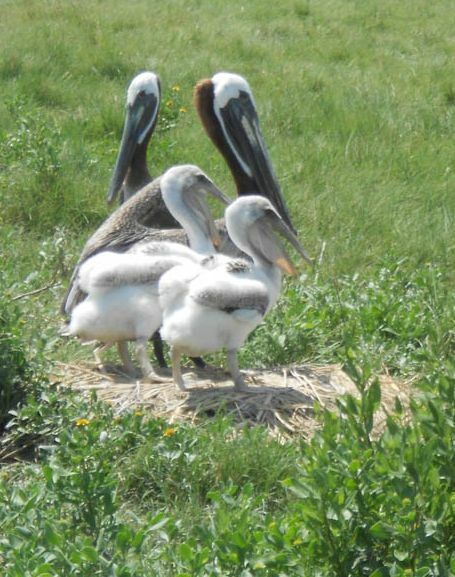 These pelicans were brought back from the brink of extinction with the ban off DDT. The chemical pesticide caused a thinning of their eggshells, thereby drastically reducing reproduction. This island is now one of nine similar nesting areas with numbers on the rise. Finally, we were accompanied on the ride home by a couple of dolphins in the Ocracoke Inlet who were too fast even for a point and shoot camera. 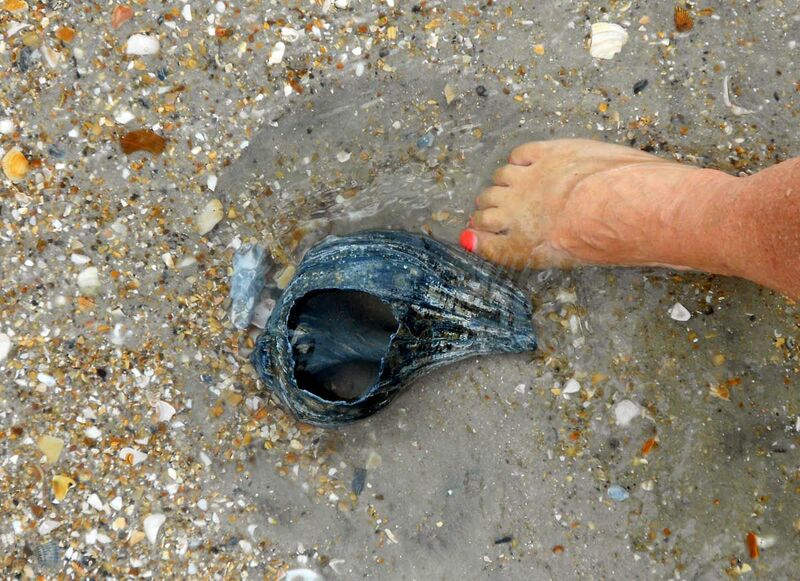 Overall, a great day for the shell hunters as well as the bargain hunters! 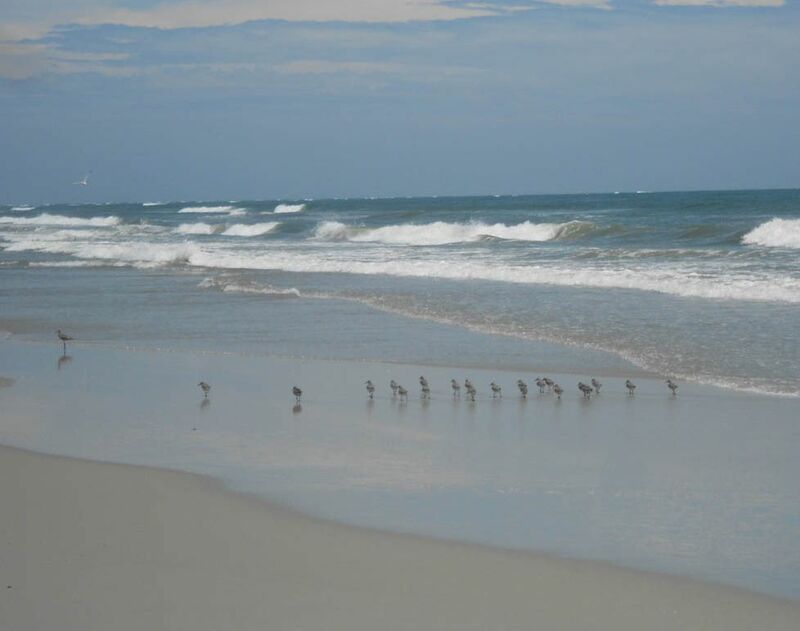 This entry was posted in North Carolina, Outer Banks and tagged Austin Tours, Ocracoke, Portsmouth Village by Suzanne. Bookmark the permalink.